This cosy sweatshirt won't let the cold get in the way of winning. It's made from brush-back fabric so it's warm, soft and ready to tackle chilly weather. 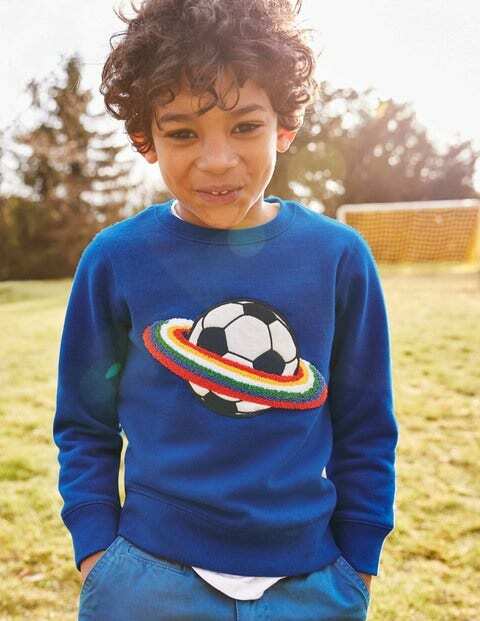 The 3D football is made from textured bouclé with graphic details for extra fun.